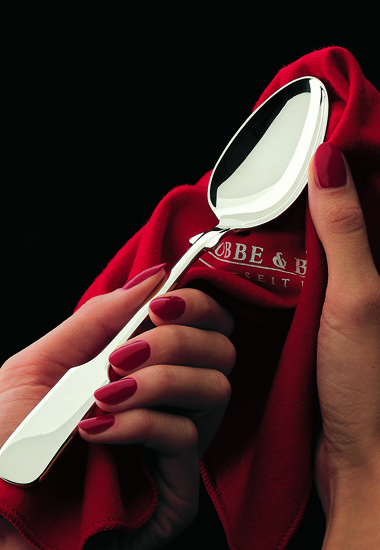 Even though all Robbe & Berking cutlery is dishwasher-proof; even highest-quality silver products occasionally require appropriate care. In addition to the different collections, Robbe & Berking also provides the appropriate care series. Whether silver polish, silver foam or a silver polishing cloth, the care series contains everything you need to keep the finely handmade silver shiny and brilliant - even after many years.